Welcome to River's Edge at Bridgeport in Seaside! 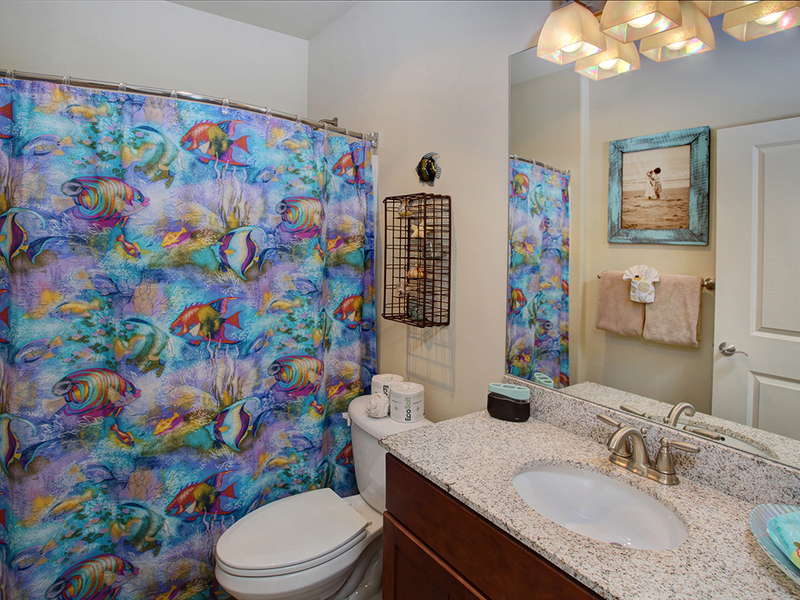 This beautiful condominium offers two bedrooms and two baths, with room for up to four guests! The first bedroom has a queen size bed, while the second offers two twin beds, making this home perfect for a family of four! Step inside this cozy rental and you'll find yourself in your home away from home! 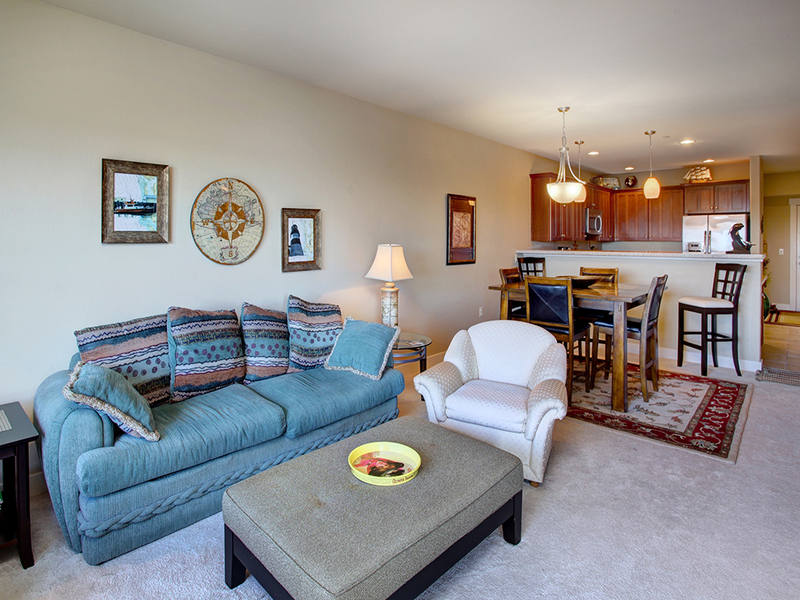 The quaint living room offers plenty of seating for you and your guests, along with a fireplace to help you stay warm during those cold Oregon nights and a flat screen TV to enjoy a late night movie with your family. 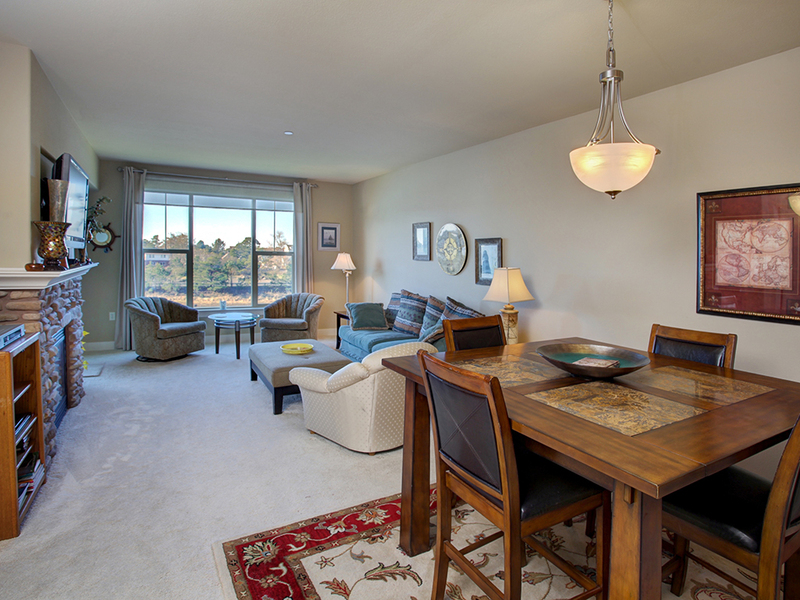 The dining room table is located right off of the living area, and has just enough seating for everyone! 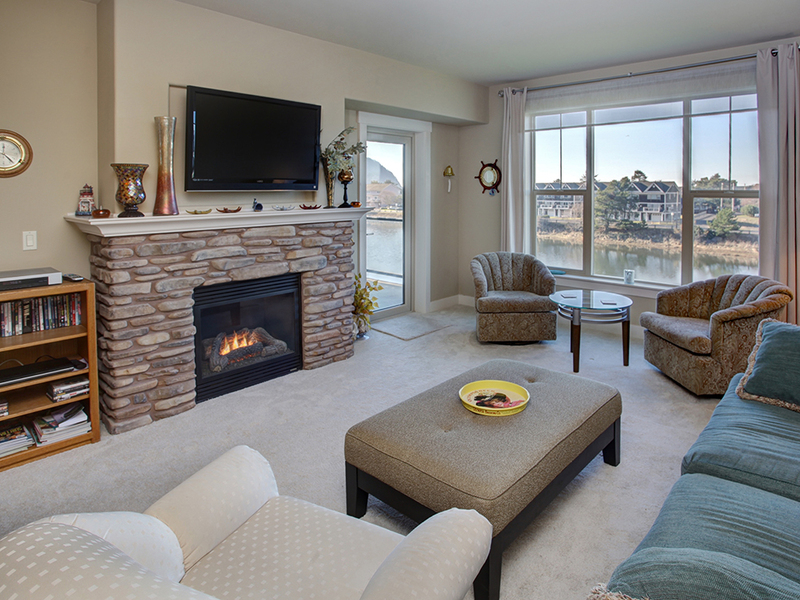 Look outside the large front windows and you'll have an amazing view of the waterfront down below. The kitchen is right next to the living area and just down the hall from the front door. You'll find everything you need to make dinner or a few snacks while on your vacation, with all new appliances and a modern and sleek finish. You'll even find a deck off of the queen bedroom with a table and chairs to relax on during your stay. 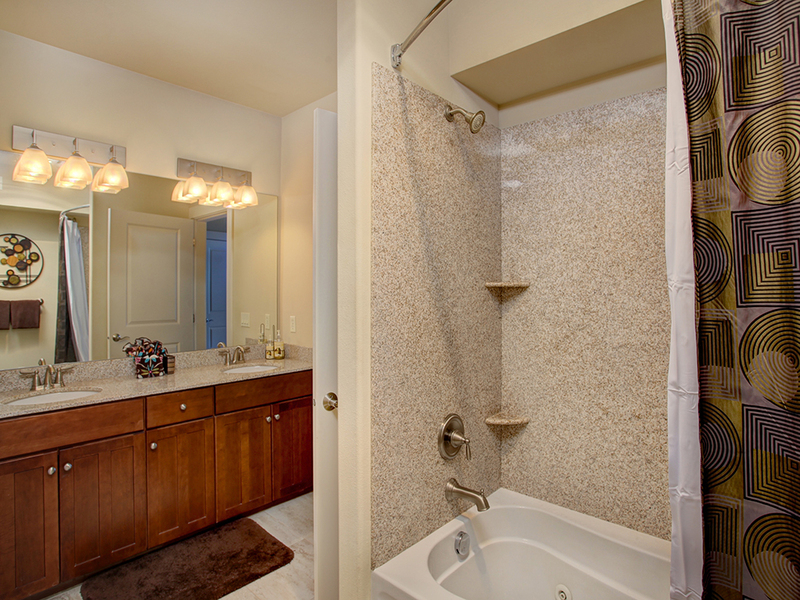 This bedroom offers a bathroom with a shower/tub combo and twin sinks. 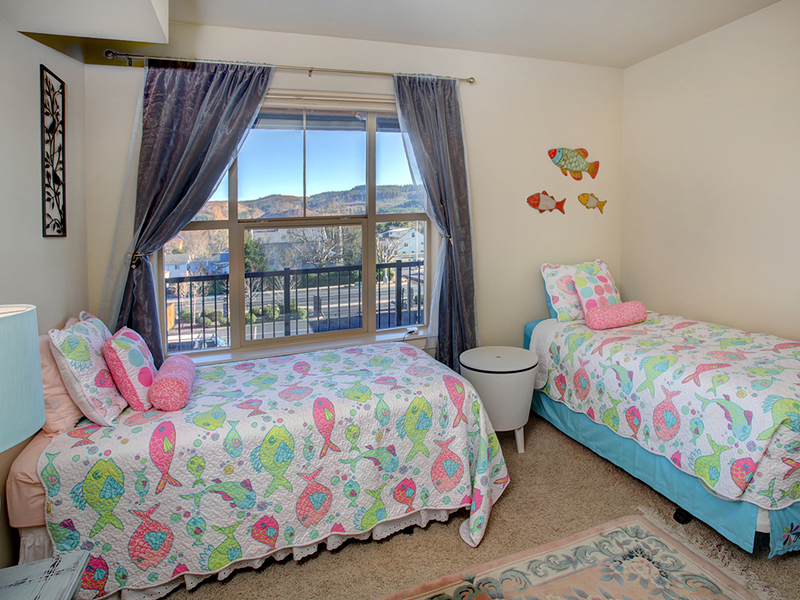 The other bedroom is fun for the kids, with two twin beds decorated with a cute fish theme. The other bathroom offers a shower/tub combo as well. 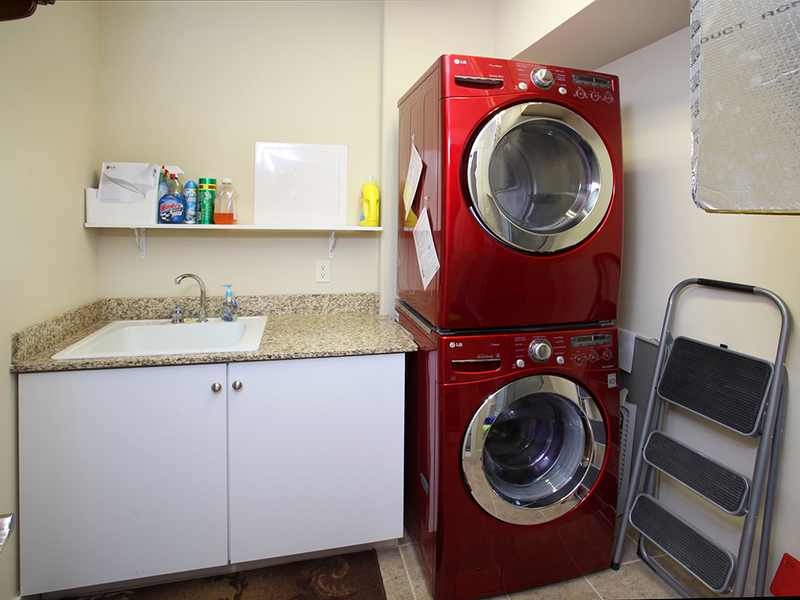 There is even a washer and dryer located in this rental, making it easier to pack lightly and wash clothes as needed throughout your trip. 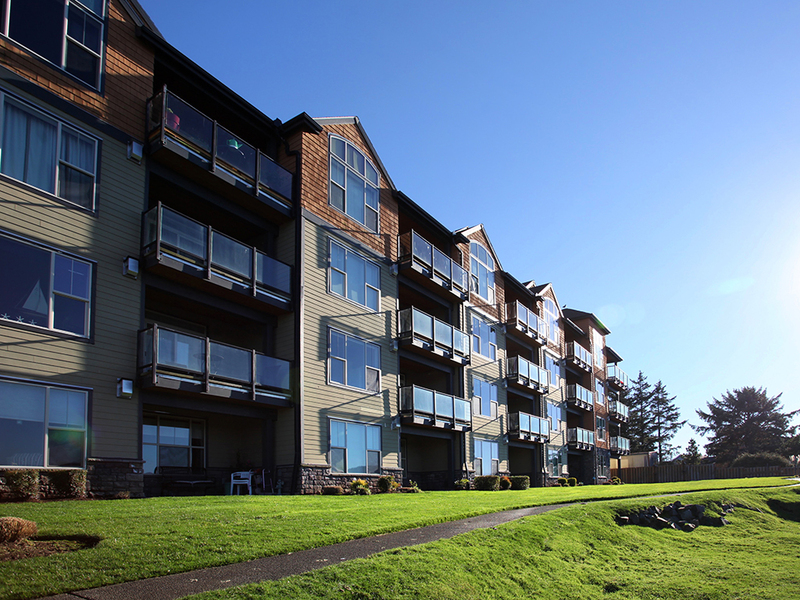 Come out to Seaside on your next trip down to the Oregon Coast and stay at River's Edge at Bridgeport with Oregon Beach Vacations! "Hello J, Thank you for your review. We are glad to see that you loved your stay at River's Edge at Bridgeport! We hope to see you back again soon on the Oregon coast!" Fantastic Condo in a Quiet Location! 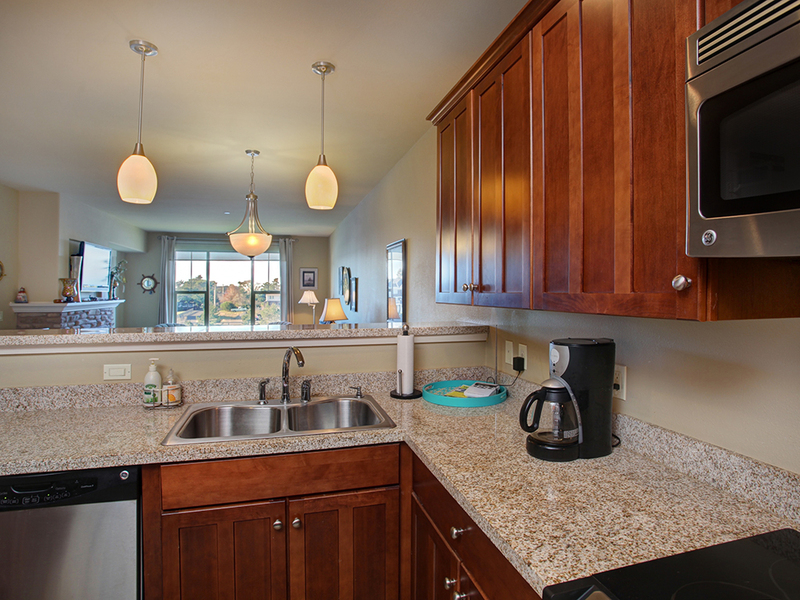 "Our family was very pleasantly surprised with the quality & spaciousness of this condo. The beds were amazingly comfortable & all of the amenities seemed fairly new with the rooms very smartly decorated - it seemed like we were visiting someone's well-cared for home rather than a rental unit! Location is only a 5-10 minute walk from the convention center, has a great little convenience store next door, and is extremely quiet - the only exception would be whenever the air conditioner kicks on. ;) We had just one minor issue as far as getting the wi-fi to work, but Linda & Tina at OBV were both extremely helpful. If we had to come up with a single nitpick, it would be that the broadband speed was definitely sub-par (< 2 Mbps). Overall, we had a fantastic week & would definitely recommend this condo to anyone looking for a high-quality property just outside the hustle/bustle of the downtown core." "Decent location, nice complex, the unit was spotless." "Hello Michael, Thank you for your review. We are glad to hear that you enjoyed your stay at River's Edge at Bridgeport. We hope to have you stay with us again in the future!" "Hello Amy, Thank you for your review. 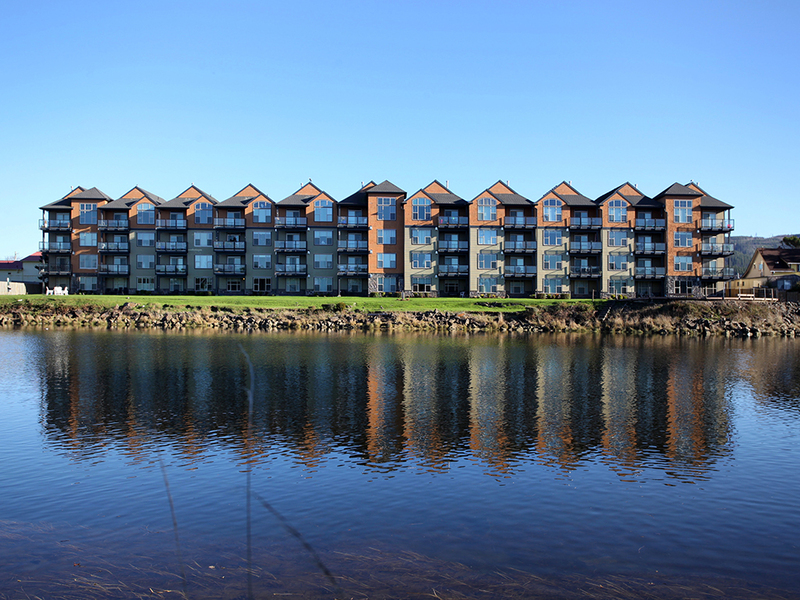 We are pleased to hear that your family enjoyed your stay at River's Edge at Bridgeport. We hope to have you back again soon, maybe during the warmer months so you can walk around more together! " "Hello Carla, Thank you for your review. We are glad to hear that you enjoyed your stay at River's Edge at Bridgeport. It sounds like this unit was in the perfect location to completely enjoy Seaside during the day. We look forward to hosting you again soon on the Oregon coast!" 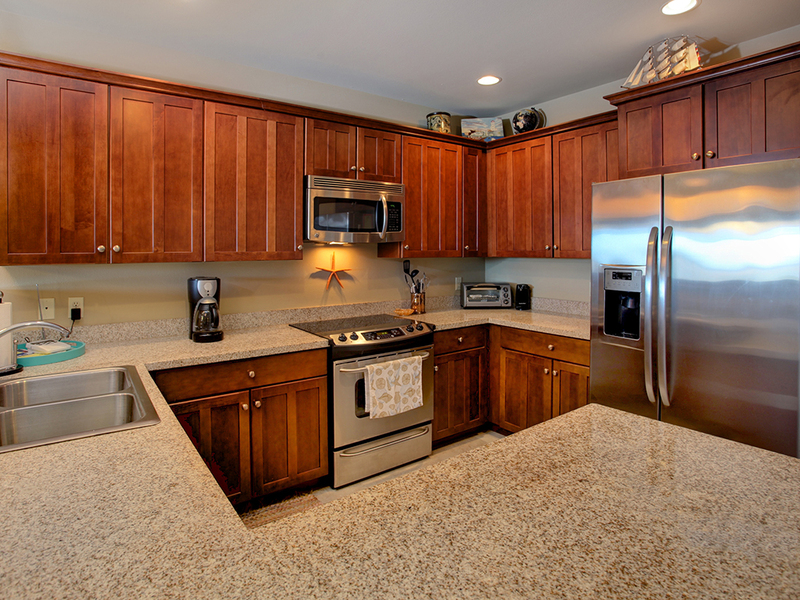 "We loved this unit, it is spacious and very clean. Well kept complex and quiet." "Hello Staci, Thank you for your review. We are glad to hear that you enjoyed your stay at River's Edge at Bridgeport. We hope this means that you'll be back again soon for another great stay!" "Very nice, clean, newer condo. We had everything we needed, and are already talking about a return trip." "Hello Holly, Thank you for your review. 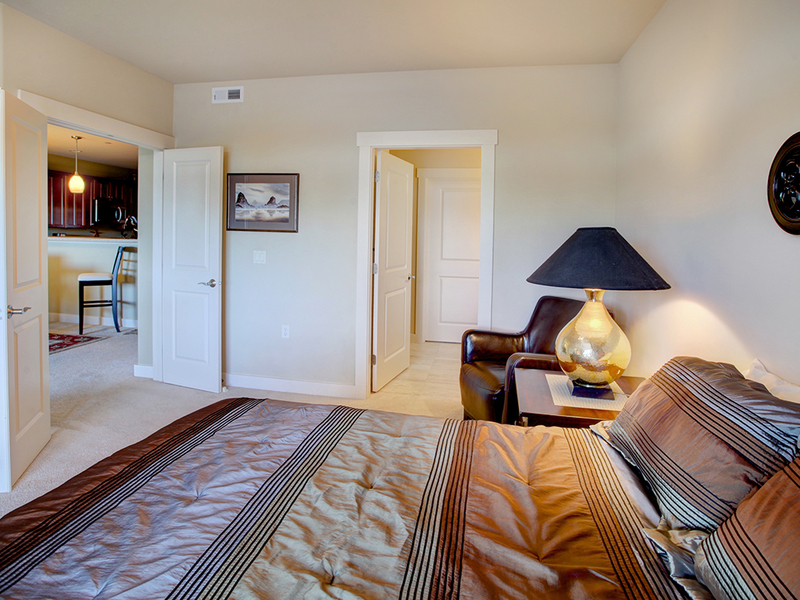 We are glad to hear that you enjoyed your stay at River's Edge at Bridgeport. We can't wait to host you again on the Oregon coast! Thank you again for your review." "We enjoyed the condo we stayed in. The numbers on the parking spots are hard to see." "Hello Christopher, Thank you for your review. We are glad to hear that you enjoyed your visit to River's Edge at Bridgeport. We are sorry to hear that the numbers in the parking lot were difficult to read. Unfortunately, we do not maintain the property, just a few select units on the property. We can contact those in charge with your concerns about repainting the numbers. Thank you for bringing this to our attention. We hope to have you stay with us again in the future." 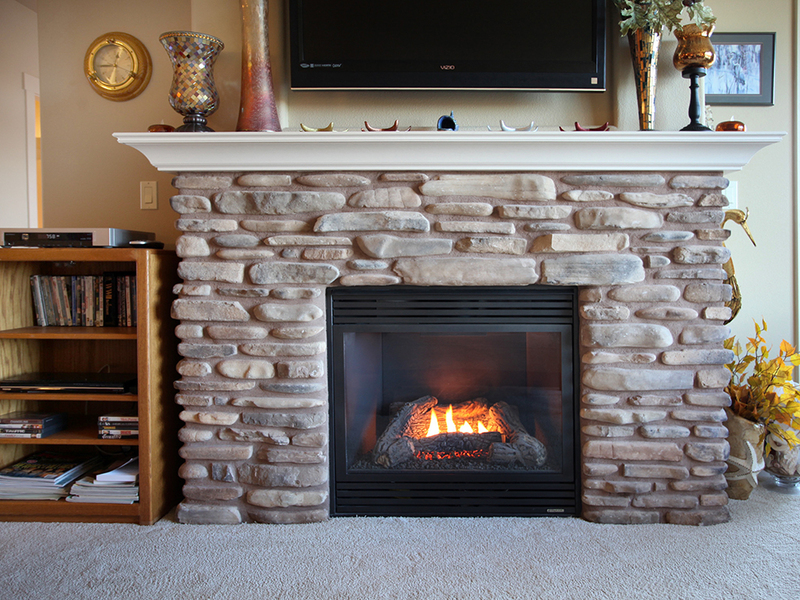 " The property was accurately described, clean, comfortable, and very spacious. We enjoyed many walks from this location to the beach Downtown, and beyond. We cooked meals in the kitchen and found everything we needed. We enjoyed watching the birds on the river from our balcony." "Hello Jean, Thank you for your review. 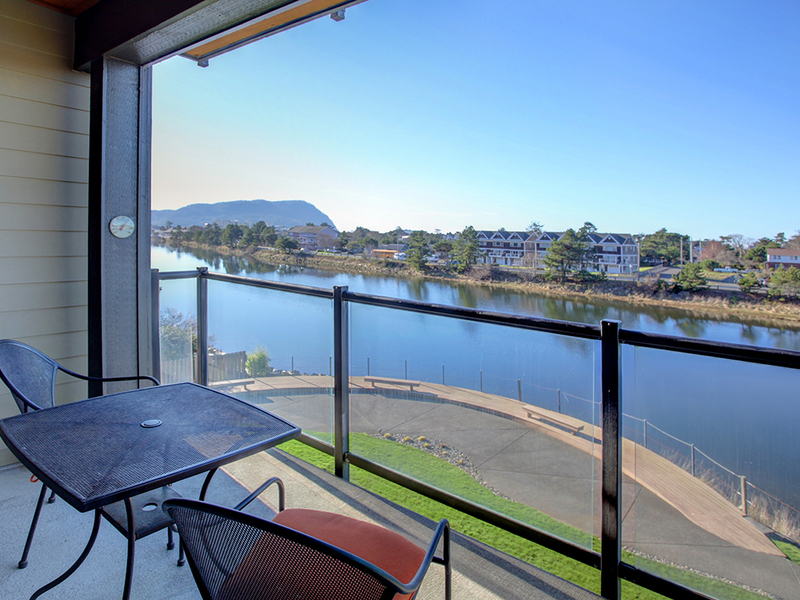 We are glad to see that you enjoyed your stay at River's Edge at Bridgeport! 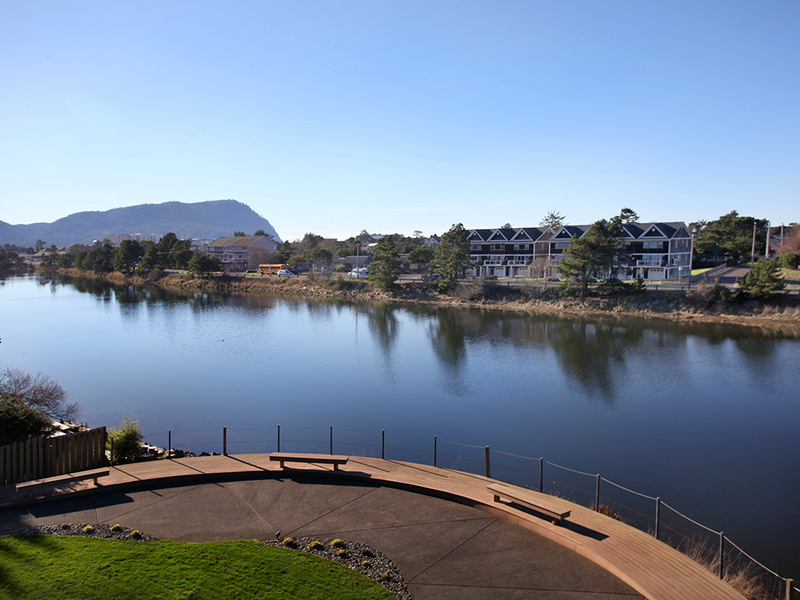 We hope this means you've found your new favorite vacation getaway on the Oregon coast. We hope to see you back again soon." Great layout. Like a classy hotel. 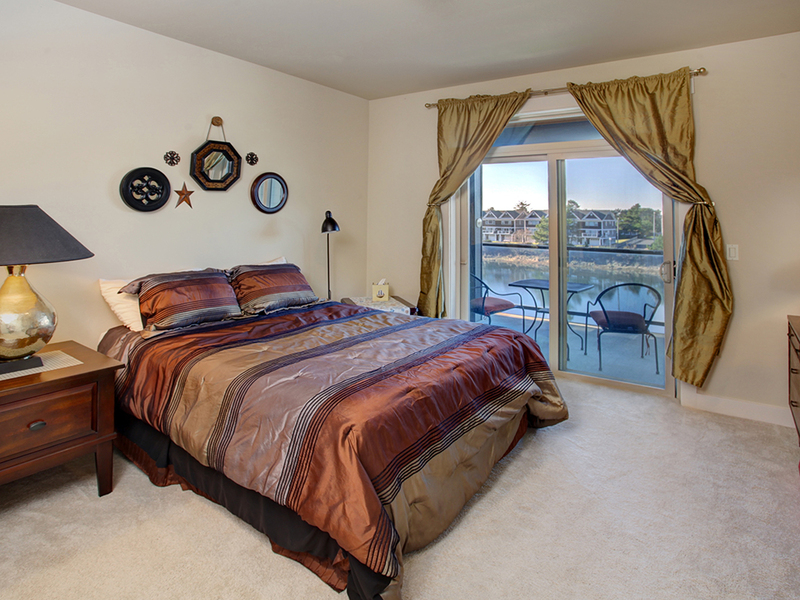 "It was all clean,but lacked linens in master bedroom and pillows in kids room were incredibly firm. Great location." "Beautiful condo close to beach and downtown seaside. Nicely decorated. Master bed needs new mattress. Hard on your back. Lots of movies, games in the unit. Good for families." "Hello Garry, Thank you for your review. 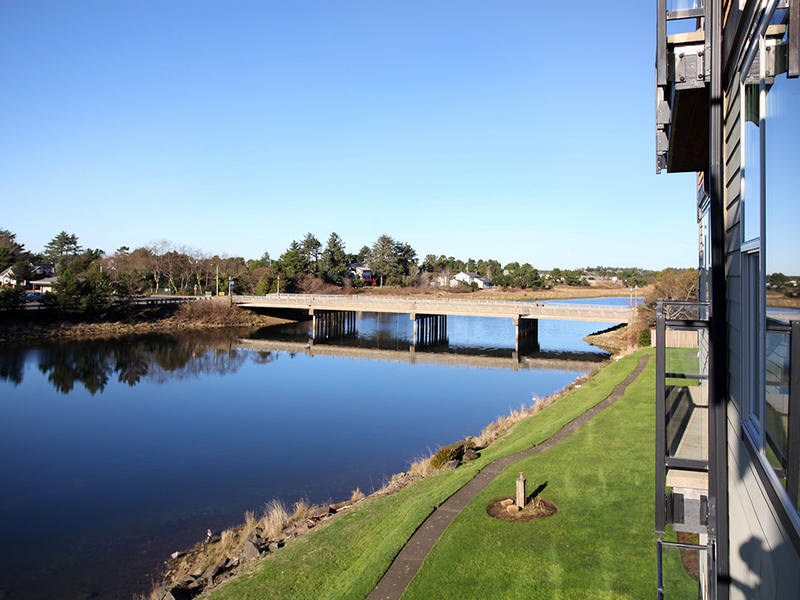 We are glad to see that you enjoyed your stay at River's Edge at Bridgeport. We hope to have you stay with us again soon in the near future." "Hello Elaine, Thank you for your review. 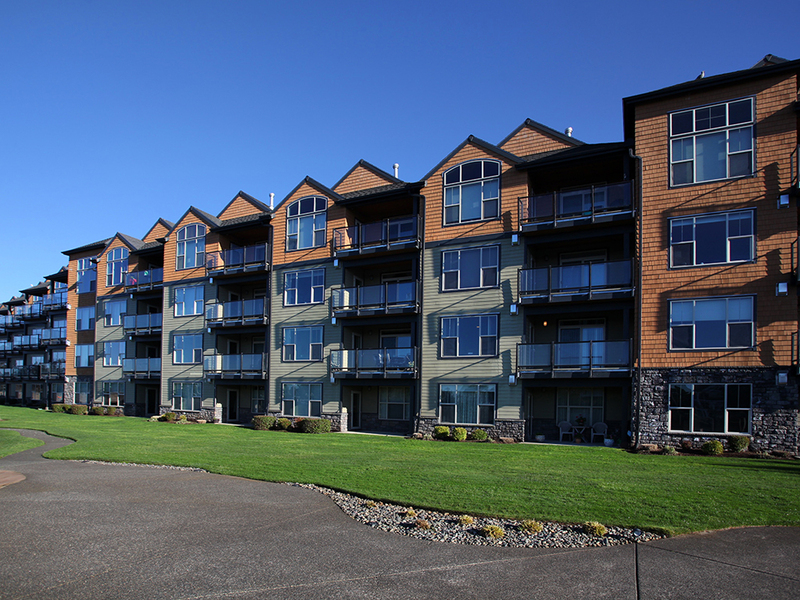 We are happy to hear that you enjoyed your stay at River's Edge at Bridgeport! We are sorry to hear that you had a few issues with the home. We can look into these items for you. Thank you again for your review, and we hope to host you again."